The most beautiful, unusual guitar straps EVER! A Gorgeous Matka Silk Embroidered Guitar Strap! 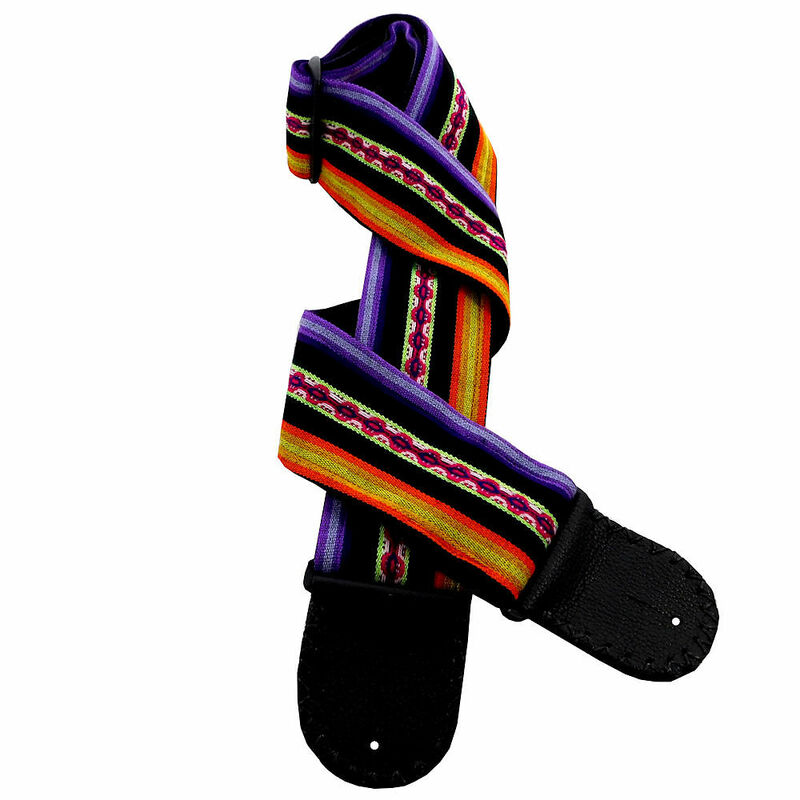 I have been working on a series of straps from some of my wonderful Peruvian fabric. While they are similar in some ways, they are sufficiently different from each other that I don’t feel I can list these as multiples of the same strap. So, as I list them and show them to you, you will see the similarities but you will also see the differences and perhaps prefer one over the other. In any case, all of them are absolutely luscious in their thickness and in the boldness of their colors. Happy New Year to everyone! !